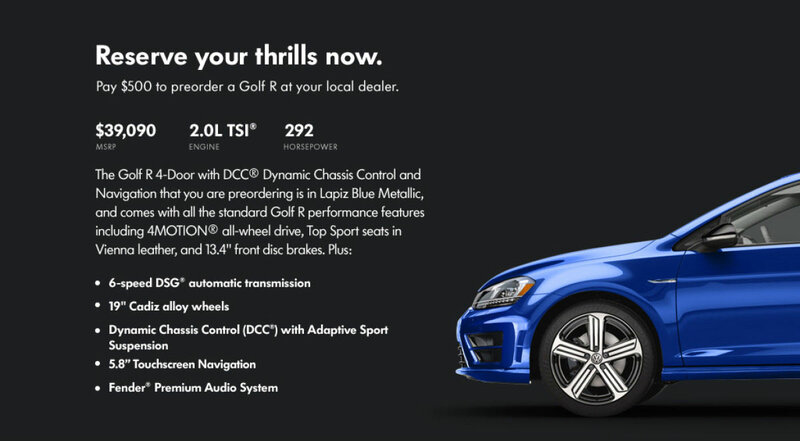 When you preorder your Golf R, let us elevate the occasion with a complimentary gift from Volkswagen to help enhance your driving experience. 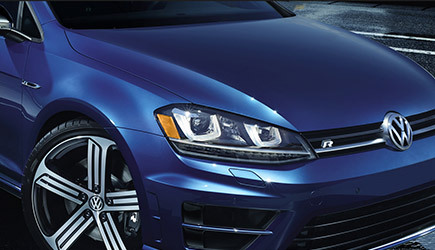 It’s no secret that the Golf R knows how to perform. But with impressive power that takes it from 0 to 60 in 4.9 seconds and around the Nurburgring in 8:11, clearly it’s not holding back. 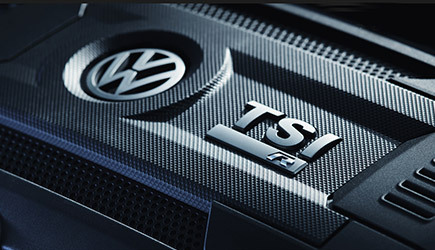 The Golf R delivers power where it’s needed most, dramatically improving handling. And the finely tuned suspension helps keep the tires planted. Thoroughbred That’s Also A Workhorse. Pre-order Program available only to the legal residents of the 50 U.S. and D.C. who are 21 years of age or older. $500 Reservation Fee applied to final negotiated price of the vehicle. Only 500 Golf R vehicles are available for preorder on a first-come, first-serve basis. 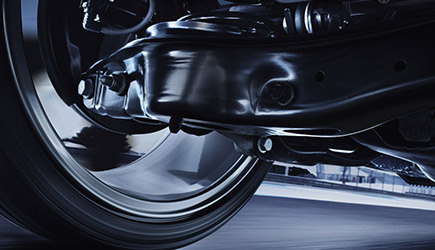 Vehicle MSRP of $39,090 excludes taxes, title, transportation, options and dealer fees. Dealer sets actual price, which may exceed MSRP. Must contact selected dealer and complete vehicle purchase by March 15, 2015. Maximum of one (1) non-transferable preorder reservation per household. View full Preorder Program Terms and Conditions at www.vwgolfpreorder.com.